Posted on May 3, 2018 at 9:51 pm. Hiking Coeur d’Alene Idaho is a great energizing activity during vacation. 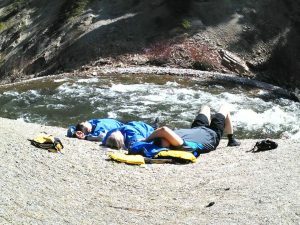 Wondering what to do during the springtime when the water is still muddled for fishing and the rivers are running too high to raft? Springtime is a great time of year to get outside and hike. 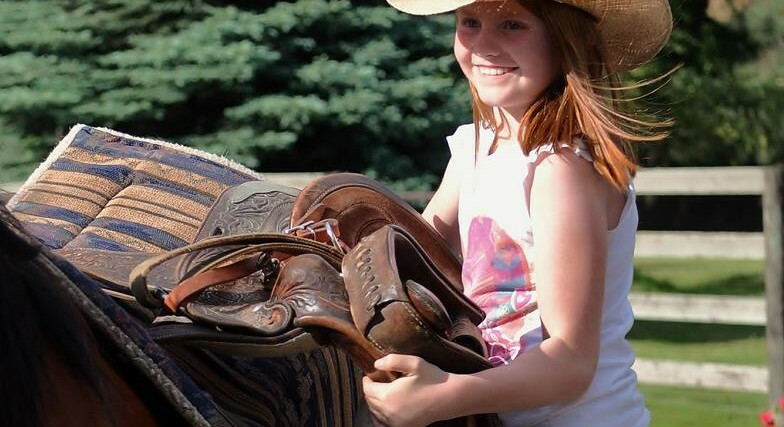 Horseback riding also usually gets going around mid-May. Late may kayaking and rafting season begins and fishing can be excellent. 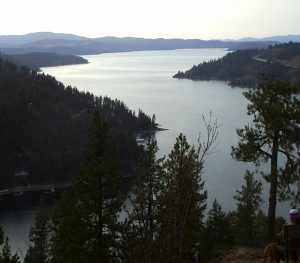 Springtime is the best time to go hiking in Coeur d’Alene! The peak of the tourist season is yet to arrive and therefore the hiking trails are less busy, but gorgeous from all the blooming plants. You are also more likely to see active creatures and wildlife bustling here and there as they are just as excited about the nice weather after a long winter as we are. Mineral Ridge, Tubbs Hill, and Farragut State Park are the best places in our area to hike. For a stroll along the lake, start at Coeur d’Alene Park and walk along the CDA Lake beaches in either direction. 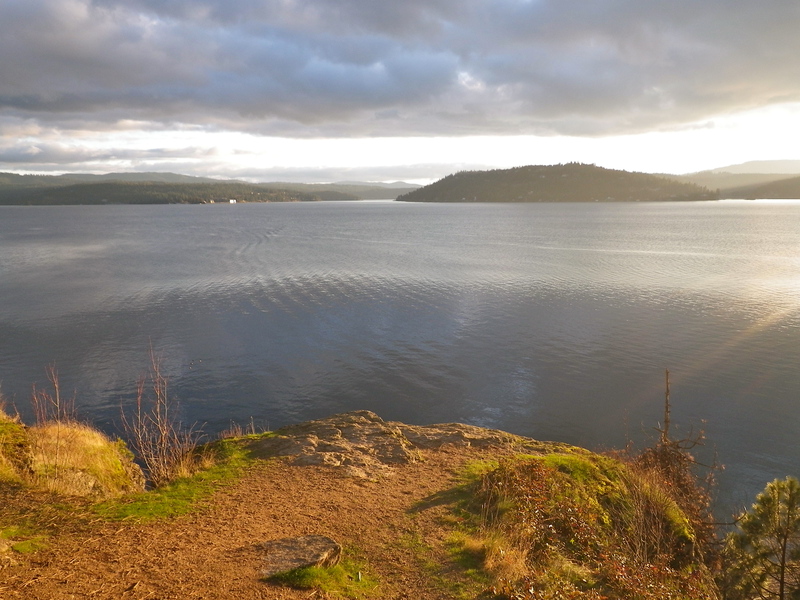 A not to miss activity while vacationing in our area is the gorgeous hike around Tubbs Hill that has great views of Lake Coeur d’ Alene, Idaho! Tubbs Hill is close to downtown Coeurd’alene. It’s actually accessed by the parking lot that is adjacent to the Coeur d’Alene Resort or McEuen Park. It is located near our award winning library and along E. Front Avenue. Parking is free by the library! CDA Adventures loves taking this hike. It is quick, easy and has great views. 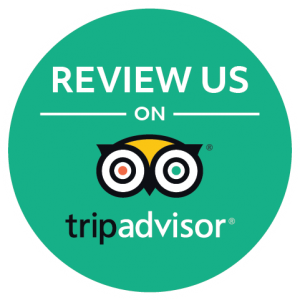 If you have any questions, please email or contact us at Coeur d’Alene Adventures: 208-918-2082. 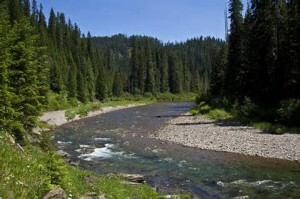 Looking for a great hike in the Coeur d’Alene area? Just 10 minute drive around the east bay of the lake along I90 take the Wolf Lodge Exit to get on Scenic Hwy 97. You’ll see your Mineral Ridge Parking Area sign after 5 minutes! Free, beautiful, and a popular hike, Mineral Ridge is a 3.3-mile trail that winds up and down a great stretch of Beauty Bay. Construction began in 1963. The trail offers beautiful views of Lake Coeur d’Alene and has a diverse and beautiful canopy for shade cover for much of the trek. If you have any questions, please email or contact us at Coeur d’Alene Adventures: 208-918-2082. Posted on December 26, 2017 at 7:40 am. Coeur d’Alene Country and North Idaho’s rivers and streams are among our state’s greatest assets. Read here how you can help maintain them during use. As recreational use on and near Idaho’s river resources continues to grow, different river user groups (fishing, floating, tubing, camping, etc.) are encountering each other more frequently. This can lead to conflict between users or a perception of river crowding. 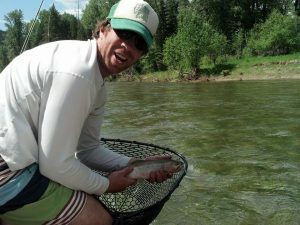 Here is a list of river ethics and etiquette to follow so that we can all enjoy Idaho’s great river resources and help protect the recreational experience and the resource. 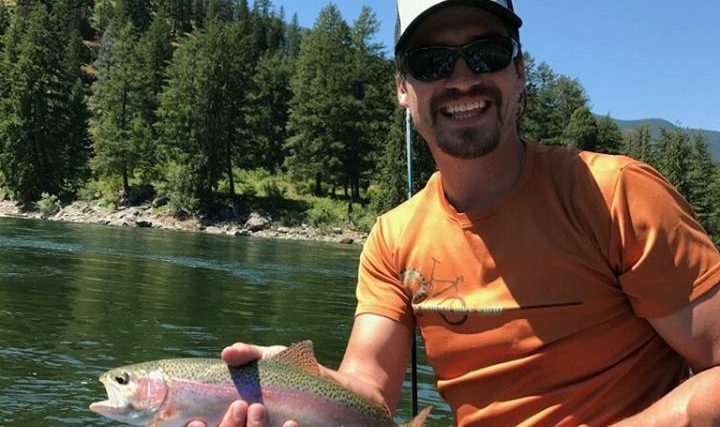 We at Coeur d’Alene Adventures know you will do your best and doing that will ensure that we are able to continue recreating on our rivers and open spaces. Posted on December 24, 2017 at 6:28 am. 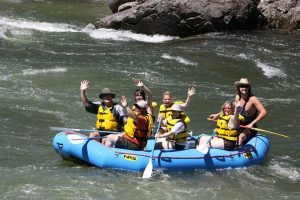 Scenic river floats are an often overlooked way to enjoy the water on a hot day….You can go down one of Coeur d’Alenes area rivers, jump in and go for a swim, relax as you take in the beautiful mountain vistas, and experience some great wildlife viewing. We offer two scenic river floats in our area. This is a great way to spend half the day in the Coeur d’Alene/Spokane area. This is a nice river float down the Lower Coeur d’Alene River! Great for all ages and abilities! Nervous about younger children on the boats? This is your float trip! You get out on the water without any stress. Picture a lazy river, warm breezes and a total release of all your cares! This is a great day on Coeur d’Alene River. Guests view birds, moose, and has North Idaho written all over it. This is a peaceful section of river with gentle flows that run all summer long. Jump in to swim! Hang out on the beach for a bit. This is a crystal clear spring fed water that houses Cutthroat year round and Chinook Salmon in the fall. 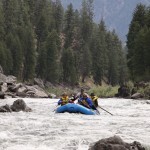 By far the best of the scenic river floats in our area is on the majestic Clark Fork River! It is a 90 min to the Cyr Recreation Site and our Rafting the Fishing Headquarters. This valley just over the MT border is surrounded by picturesque mountains and ponderosa pine forests. A scenic float trip is a grand way to navigate through the beautiful landscape while you quietly view the wildlife in its natural habitat. 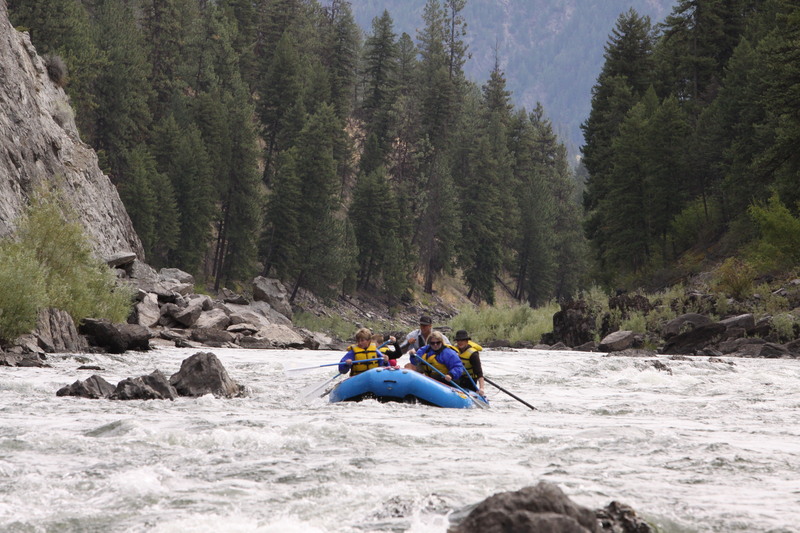 Not only is it relaxing, but the Clark Fork is less crowded than the other rivers in the area. You can pull over along the banks for a picnic or jump in the river for a refreshing swim. Just below the wild waters of the Alberton Gorge you will find the much calmer Tarkio Gorge. This stretch of river has great swimming holes and nice sandy beaches. We have a favorite stop for lunch or continue down this peaceful stretch of river and do something else with the second half of your day. Along the way you may see some great wildlife…. including elk, deer, moose, bald eagles, osprey, and, beavers. 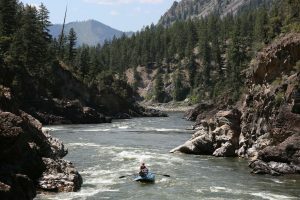 This scenic float trip is a great way to take in all the beautiful sights found in the Montana Valley. The float usually takes a little over 3 hours, which allows a family to get ready for a fun dinner, go for a hike, or engage in another short activity to conquer another great adventurous day on vacation.